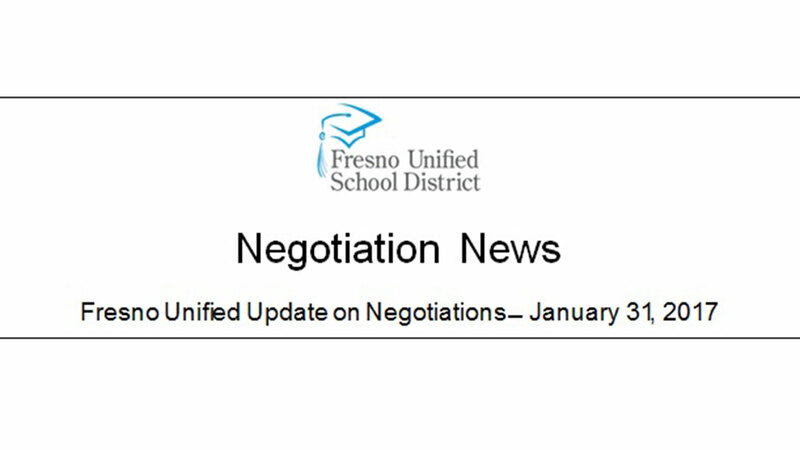 The Fresno Unified School District and Fresno Teachers Association (FTA) met for a bargaining session on Jan. 31. The parties discussed their respective cost estimates regarding FTA's proposals. The parties agreed to exchange additional information to come to an agreement on the costs of FTA's proposal. The district looks forward to continuing to work with FTA on negotiating a new contract. With the Board of Education's core goals in mind, we remain focused on competitive compensation for employees, strong educational programs for our youth and a health district reserve that will ensure we maintain our financial stability.